To Lathrop’s listing she added: strained or severed relationships with living persons, mental and emotional pathologies, loss of employment or underemployment, loneliness, betrayal, and a host of other little deaths that begin to close in around us, cutting off our hope, our connections, even our faith, and leaving us entombed by circumstances beyond our control. . .
Near the end of her message, she pointed out that Lazarus’s name meant “God is my help,” and that he had no idea where, or how close, his help was. He only knew he was trapped in circumstances utterly beyond his control, and could see no way out. Which means that for the person in the cave, all I’ve said until now may mean absolutely nothing. But the fact that you are here in this gathered community of faith is symbolic of something hopeful. It symbolizes that you are part of a wider community that cares, and that believes the life of God has the power to destroy death, and that the light of Christ cannot be overpowered by darkness. 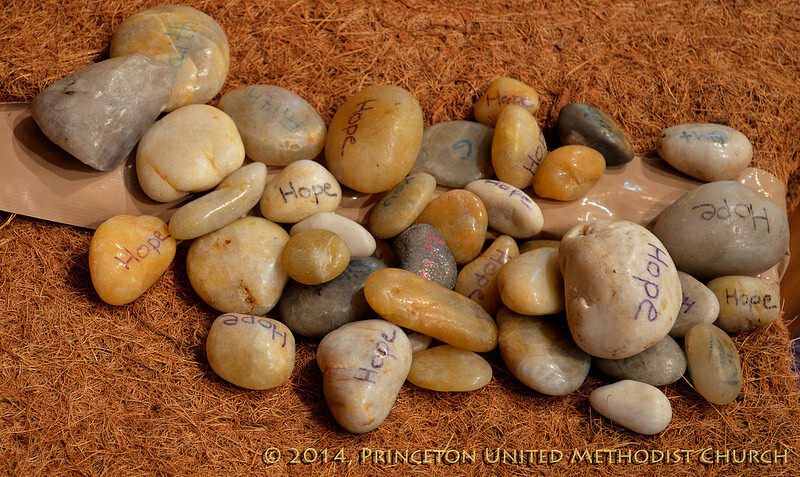 Altar design by Debbie Meola and photos are by Edem Timpo. 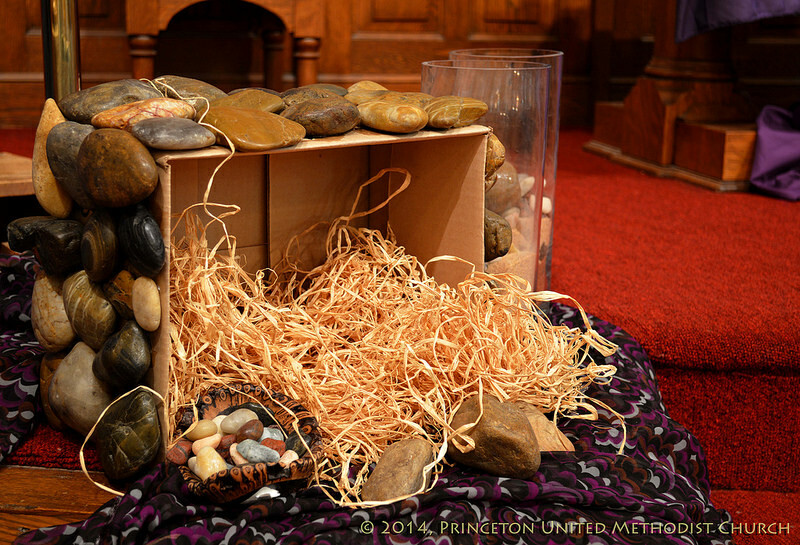 This entry was posted in Worship and tagged Catherine Williams, Gordon Lathrop, Landscape of Lent, Lazarus. Bookmark the permalink.